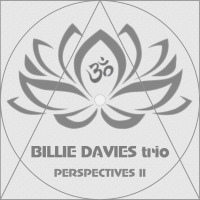 Perspectives II is an all spontaneous, instinctive, intuitive improvisation inspired by 7 perspectives, words and seven chakra musical keys, expressed by a quartet of piano / keys / trombone, baritone sax / flute, bass, drums and vocals / spoken word by two female vocalists. Perspectives that affect all human beings, regardless of race, nationality, culture, gender, creed, religion, politics, social status and personhood. Abstract Expressionist Improvisations Neither confused by the light Nor blinded by dogma, color or political correctness An ever evolving improvisation, a message to raise the awareness of life and living, love and loving from a deeply natural, instinctive perspective. A symphony to mother nature, to the tree of life and people. One big conversation where each artist responds to another artist’s call, where each and every action taken is in response to another, all being influenced by each other, all being one and one with mother nature. A spontaneous expression through sound, through words and through movement, all expressing perspectives of Nature, Life, Happiness, Love, Freedom, Art and Rhythm. Live recorded for sound and video at: Art Klub, New Orleans. Release date: September 27, 2018. Her 2012 release of All About Love solidified her position as a professional jazz musician. This recording of standards and original music, charted #1 in CMJ Jazz College Radio Charts for ‘top jazz add’ in new albums and went on to stay in the top 20 for 4 weeks. Also well received in Canada, the album ended up in the Top 10 on three different Earshot Jazz charts. 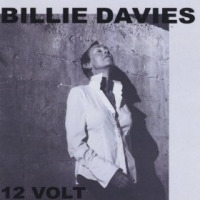 In October, 2013 Billie released 12 VOLT. CJ Bond, JAZZ MUSIC, wrote, “12 VOLT adds the crucial tyne of 'composer/arranger' to her sterling artistic fork, augmenting fearless innovation." Jan Hocek of His Voice in Prague wrote: ”Without hesitation—HIGH VOLTAGE avant-garde JAZZ—one of the most remarkable trio albums of the year!" 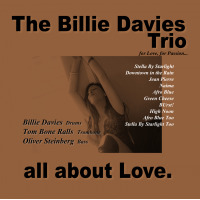 In 2013 Billie Davies received the Jazz Artist of the Year" Award by the 23rd Annual Los Angeles Music Awards. 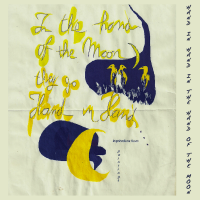 In March of 2014 she moved to New Orleans where she recorded Hand In Hand In The Hand Of The Moon in 2015. 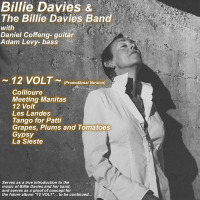 She received more national and international attention due to a player feature in Downbeat Magazine May 2016 edition, BILLIE DAVIES 20 Years Stronger'". On Hollywood Boulevard, released in 12/10/2016 became a January 2017 Editor's Pick on DownBeat.com. December 2017 Billie Davies was nominated for Best Contemporary Jazz Artist" in New Orleans by OffBeat Magazine. Music never stops, it only begins. All the music that ever was exists now. It is the musician's job to tune into the universe and become a vessel for the music of the moment." Evan Oberla Evan was born and raised in Columbus, Ohio, playing piano and guitar at an early age. In 5th grade he picked up the trombone for the school band. In high school his musicality led him to participate in multiple jazz ensembles, including the acclaimed Columbus Youth Jazz Orchestra. Evan graduated in June 2009 from Ohio State University with a degree in Jazz Studies performance. A diverse and active musician based out of New Orleans, LA, he can be found with acts such as EO & The Tasty Sapiens, Brass Lightning, Sexual Thunder, Allie Porter Band, Billie Davies, Miss Mojo, Mike Dillon & more. Evan has toured nationally with O.A.R., Allen Stone, and Elle King. Born in Brunswick Maine, Oliver began studying music at the age of five. He attended college in Boston at the New England Conservatory, where he had the opportunity to study upright jazz bass and perform with greats such as Lee Konitz, Dave Holland, Jason Moran, Cecil McBee, and many more. In 2014, Oliver moved to New Orleans and began performing with BILLIE DAVIES in 2015, Gandhi Castle, Laelume, and various street bands. He has taught and performed all over the United States, as well as Central America and Canada. Born in Portland, OR he now lives in New Orleans and is a jazz studies graduate from Tulane University. Ari is fast becoming one of the important younger musicians in New Orleans. He is a very creative and dedicated reeds/woodwind player that can be found playing with Brass Lightning, Miss Mojo, Allen Stone, Elle King, Sexual Thunder!, Doombalaya, Noruz, and more. He is a BOOST Music Teacher at New Orleans College Prep Charter Schools. He played and performed with the Billie Davies Ensemble horn section in 2015 and with Billie Davies & The Bad Boyzzzz horn section in 2015/16. He joined BILLIE DAVIES in January of 2018 for the “PERSPECTIVES I & II” project. Born in 1985, in New Orleans, Catherine Poree' aka IRIS P, discovered her talent when she received her very first instrument, a violin, at the age of 6. From there she went on to perform in orchestra concerts and a host of plays, but most of all enjoyed singing with her mother, the late Marilyn J. Etienne, also known as LADY GOSPEL. In 2010 IRIS P started her mission to save the world" by performing her original songs written from her extravagant poetry debuting a plethora of songs from her Underground EP I Got Issues". 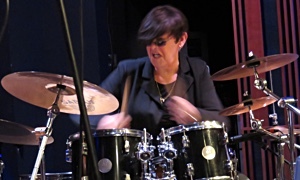 IRIS P shows style like no-other with Jazz Melodies when she played Billie Holiday" in Dryades Street Divas Review" in the summer of 2014, held at Ashe's Cultural Center. She won Nola’s Hottest Female Vocalist In October of 2014" at the Nola Hip Hop Awards, and headlined in the Foundation Room at the New Orleans House of Blues. She joined BILLIE DAVIES for the recording of “On Hollywood Boulevard” in 2016. Hails from Crofton, MD and is a singer and songwriter now living in New Orleans with honest pipes and a heart of gold bringing you the music of your past, present and future. She has been influenced by Grace Slick, Joni Mitchell, Irma Thomas, Ella Fitzgerald, Billie Holiday, Beyonce and Janis Joplin. 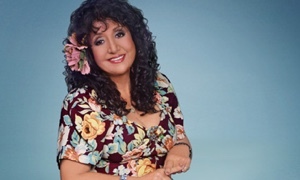 She can be seen performing in New Orleans with The Allie Porter Band, The Holy Trinity Trio and more. She joined BILLIE DAVIES in January of 2018 for the “PERSPECTIVES I & II” project. Artivism Dance Theatre is a collective dedicated to bringing awareness of social issues to a wide range of audiences through dance theatre. Artivism aims to generate discussion amongst its audiences and open a dialogue around these important issues. We prioritize communication of social message over esoteric performance, often using multimedia techniques in our work. We believe that art, and specifically movement, can communicate perspective and experience across gaps in culture, language, and tradition that might otherwise remain unbreachable.